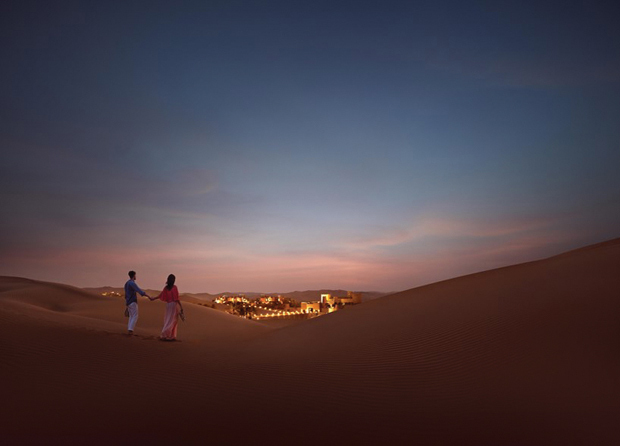 Abu Dhabi is the perfect honeymoon stopover for couples who appreciate culture, art and nature, as Rowena Marella-Daw discovered during a recent visit. The big day's over, and you're raring to head straight to the honeymoon destination of your dreams. Tempting as this may be, couples heading for the Indian Ocean's dreamy islands or the intoxicating energy of Asia's capitals could benefit from a stopover to recharge and gently ease into the holiday mode. And if it just so happens to be a place that opens up the mind to new cultural perspectives and enriching encounters, then even better. Fortunately, layover routes such as the United Arab Emirates are becoming more accessible to holidaymakers with their plethora of swanky resorts, trendy eateries, pristine beaches and theme parks. And if Dubai's futuristic bubble and razzle-dazzle isn't your cup of tea, then Abu Dhabi, the capital and largest of the seven Emirates, can bring you closer to authentic Emirati culture and traditions. Abu Dhabi is translated as 'Land of the Gazelle', and legend has it that this oasis was discovered when a nomadic tribe in search of fresh water followed a young antelope to the island along the Persian Gulf. Pearl diving was an important industry here until oil was struck in the late '50s, changing the fortunes of the poor fishing village and catapulting it into a mega-wealthy metropolis way beyond the wildest dreams of any Bedouin tribe. Slowly but surely, Abu Dhabi is positioning itself as a top holiday destination in the Gulf region. But unlike its neighbour Dubai, it's retained much of the heritage this island was built upon. 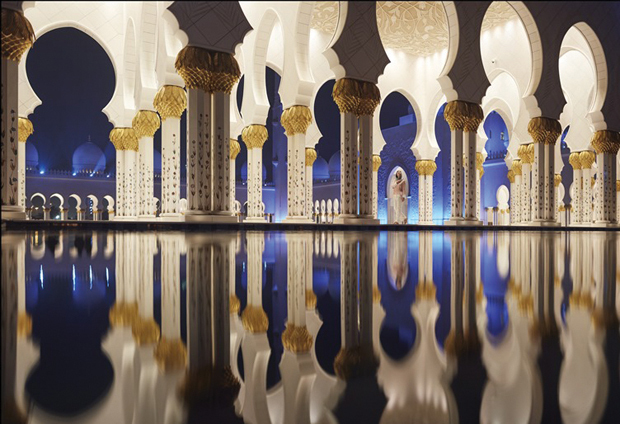 A fine example of this is the Sheikh Zayed Grand Mosque, a stunning architectural and cultural landmark frequented by visitors from around the world. 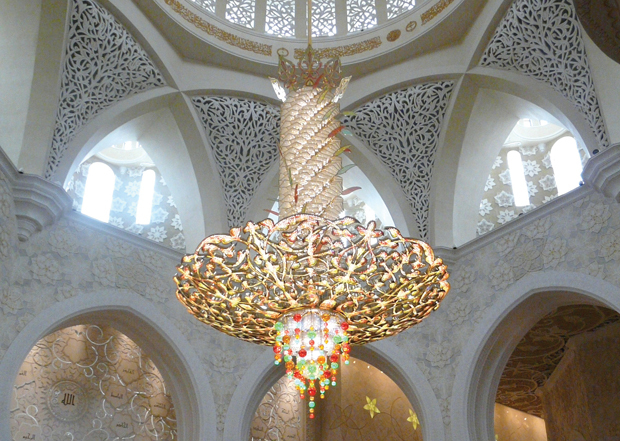 Named after HH Sheikh Zayed bin Sultan Al Nahyan, the late president of the United Arab Emirates who initiated the project, it's magnificent for its 80 marble domes, 1,000 plus columns, huge crystal chandeliers and prayer areas for up to 40,000 worshippers. It holds the record for having the world's largest hand-woven carpet, and no expense was spared in embellishing it with gold, semi-precious stones and inlaid mother-ofpearl. Even if you're not particularly religious, the mosque is worth a visit from an architectural perspective. Female visitors are required to cover their heads, shoulders, arms and legs with an Abaya, a full-length dress and veil, which tour guides provide. Action seekers get a dose of adrenaline at the Yas Marina Circuit, where the F1 Etihad Airways Abu Dhabi Grand Prix is held each year. 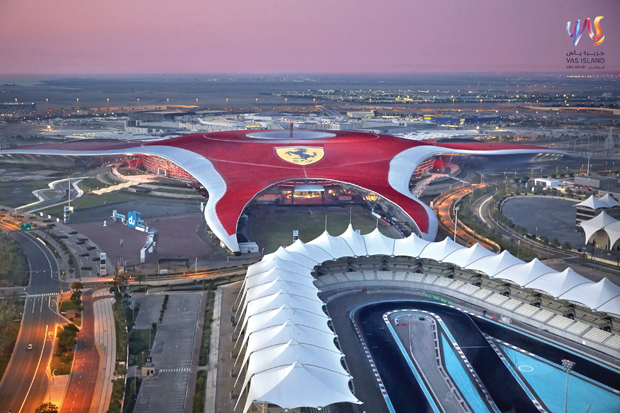 Adding a quirky twist to the experience is the swanky Yas Viceroy Abu Dhabi Hotel, which straddles the F1 racetrack, while Ferrari World lives up to its name by having the fastest rollercoaster in the world. And when temperatures soar, visitors take refuge at Yas Waterworld, or head for the Corniche waterfront, an eight-kilometre stretch of pristine sandy beach with a Blue Flag award. Saadiyat Island is famous for its white sandy beach, turquoise waters and the Saadiyat Beach Golf Club, the region's first ocean course. But what really makes this island distinct is its host of prestigious museums: the Zayed National Museum, Guggenheim Abu Dhabi and the much anticipated Louvre Abu Dhabi, scheduled to open this year. Louvre Abu Dhabi's geometric lace patterned dome will house a collection of fine arts, archaeological pieces and decorative arts from all regions and periods. Just a 20-minute drive from the airport, Saadiyat Island is an oasis of calm and culture far from the city's hustle and bustle. You can't get closer to nature and ancient Emirati culture than in Al Ain, an hour-anda- half drive from Abu Dhabi. Nicknamed 'Garden City', Al Ain Oasis is replete with palm groves spanning 3,000 acres, and is home to one of the world's oldest permanent inhabited settlements recognised as a UNESCO World Heritage site. With the city set on the fringes of Rub' Al Khali desert and an imposing Jebel Hafeet mountain within driving distance, there's much to explore. Visit Al Ain National Museum and ancient tombs at Al Hili Archaeological Park. Peruse watchtowers and forts, such as Al Jahiti, where British adventurer Sir Wilfred Thesiger's two epic journeys across the Rub 'al Khali in the '40s are documented in a permanent exhibition. Spend a few days at the Arabian Nights Village, where romantic accommodation comes in the form of a luxury Bedouin tent, palm house, desert house or Fort Tower. Take it slow with camel trekking across the desert, or speed up while dune bashing on a quad bike. Witness a camel race at Al Maqam Track near Al Ain. At dusk, dine al fresco under a star-studded night sky. Abu Dhabi has its own clutch of luxury hotels, including the newly opened Marriott Hotel Al Forsan, next to the Al Forsan International Sports Resort in Khalifa City A, a high-end community poised to establish the city as a world-class sport destination. 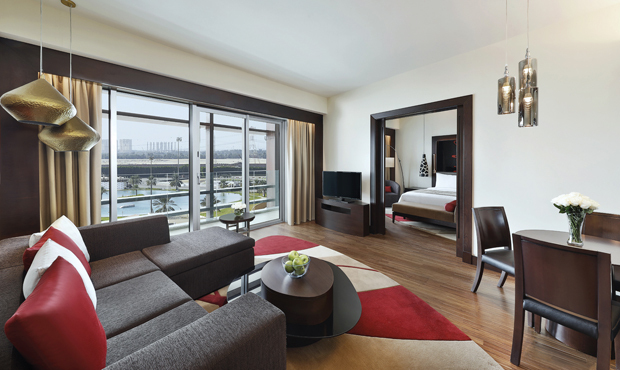 This brand spanking new Marriott is a complete departure from the staid 'hotel chain' image. The sleek exterior accented by strips of electric-blue lighting is matched by stylish décor creating a contemporary feel while keeping subtle touches of heritage. By international standards, the Junior Suites are larger, with a spacious lounge and separate changing room fitted with two wardrobes and a dresser. 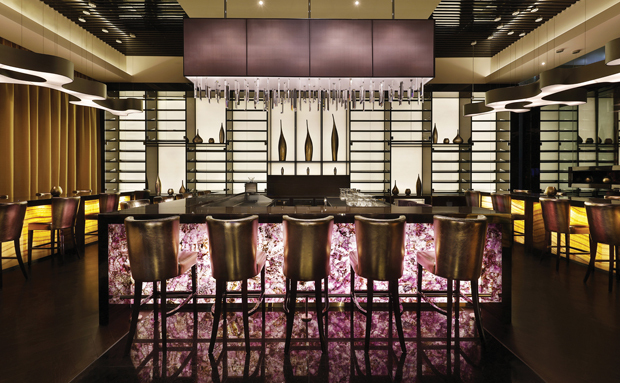 There are six dining areas, including the Khayal restaurant, which serves amazing buffets, and the elegant Couture Lounge. Rooms on the Executive Level come with free access to the Lounge, where complimentary breakfast and happy-hour nibbles and drinks are served. The hotel's best feature is its sprawling pool, ideal for couples who simply want to laze in the sun in exclusive surroundings. A pampering massage at the Saray Spa does wonders for sleep-deprived guests, and the foot reflexology comes highly recommended. Visit www.marriott.co.uk to find out more. A comfortable journey makes all the difference, especially when you get pampered during the flight. Etihad Airways, the official airline of the United Arab Emirates, is by far the only commercial airline that offers the privacy and space you only get on a private jet. The Business Studios (Business Class) on the A380 and 787 Dreamliner fleet have comfortable seats that convert to fully flat beds, and are configured to face forwards and backwards. The thought of flying backwards may seem strange at first, but once airborne, you can't feel the difference. Mood lighting gives a warmer ambience when dining, and service is attentive without being obtrusive. The à la carte menu caters to discerning tastes, complemented by world-class wines and the exquisite Billecart-Salmon NV Brut Champagne from France. Other perks include a round-trip door-to-door professional chauffeur service.